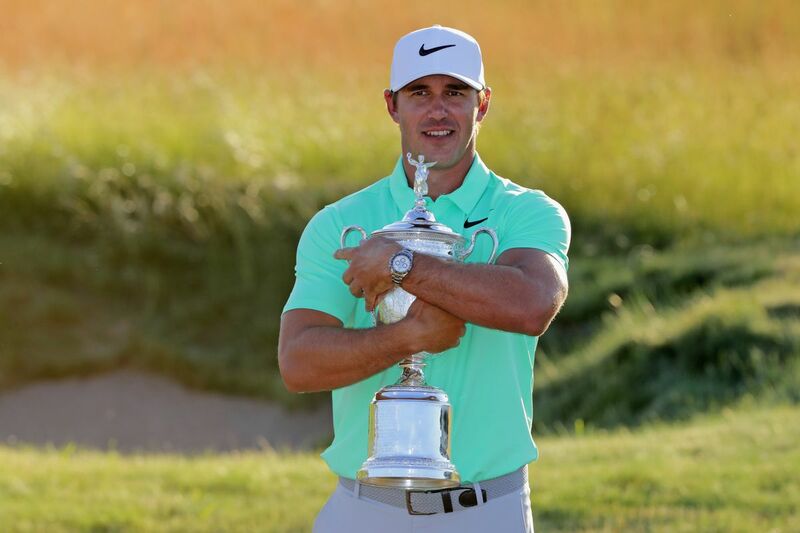 The majors come fast and thick during the summer, and this week the men are back in the spotlight with the US Open. I don't need to give you all the details, what with GC's day-to-night coverage leading up to the event and FOX's similar coverage starting Thursday. But the event's first return to Shinnecock since 2004 and "Greengate" presents us with fascinating possibilities -- especially since the track is now 7400 yards. I suspect that Jordan Spieth is correct when he says studying previous Shinnecock Opens won't be very helpful this time around. Agronomic practices have evolved dramatically since 2004, so conditions will likely be exactly what the USGA wants... and we really don't know what they have planned for the next few days. Consequently, my "5 to Watch" are mostly chalk picks, although it's fair to say there are perhaps 15 chalk picks I could make. Let's start with Phil Mickelson, the man gunning for the career Grand Slam at this major. Lefty isn't just a sentimental pick this time around, as his game has been very good this year. He comes into this major with a win earlier this season and several high finishes leading into this week. And while past history here is probably no indication of success this week, the fact remains that Phil is one of the few players to have played this course in major condition -- twice -- and he finished Top5s both times. (One of them is, of course, a runner-up.) That bodes well for him. As does 2016 champ Dustin Johnson. DJ seems to be fully recovered from last year's tumble down the steps at Augusta, and he's coming off a win last week. Given how well he's played so far this season and how easily he got that win last week, I see no reason to think he'll slow down this week. DJ has a proven ability to post wins in bunches, so why not continue the run? Justin Rose has been on a tear for the last few months, having four total wins on the PGA, European and Asian Tours in just the last nine months. He won in Fort Worth just a couple of weeks back, so he too is on a promising career trajectory coming into this week. I think the diversity of his recent wins may give him a leg up on the rest of the field. And my flier is... Tiger Woods. Why make Tiger a flier pick this week? He has improved much more quickly this season than I had anticipated, and he has gotten into contention a few times already this season. It really is just a question of whether he can get his driver, irons and putter all working at the same time. But Shinnecock's sinuously undulating fairways should minimize his driver problems and, given that his irons have been the most dependable part of his game so far, it's just a question of whether he can get the putter to cooperate. The good news for him is that a US Open course usually doesn't require extremely low scores, so the scores he's shot with a balky putter may be enough. And my pick? Look, I really want to pick Phil because I'd like to see him make some history that no one else has done -- the oldest player to complete the career Grand Slam. But my gut says Dustin Johnson is playing too well right now and he has too much to prove -- remember Butch's comments that he wasn't working hard enough? So I have to go with DJ at Shinnecock. But hey, Phil, if you're listening... I won't cry if you prove me wrong. Good luck, bud.